Ocean View 2 Br Cottage 3900 S Atl Sleeps 6. $1200/week. Steps to Beach! OCEANVIEW and STEPS TO BEACH. 2 BR Cottage in Quiet Wilbur by the Sea. Just South of Daytona Beach Shores and North of Ponce Inlet. Sleeps 6 with a King in the master and 2 Full Beds in 2nd BR. A 1 car garage has a washer and dryer and plenty of room for your beach toys. Just take them out and walk across the street and over the boardwalk to the sand. This home was just redecorated with tasteful beach decor. Reservations are not confirmed until deposit is received. 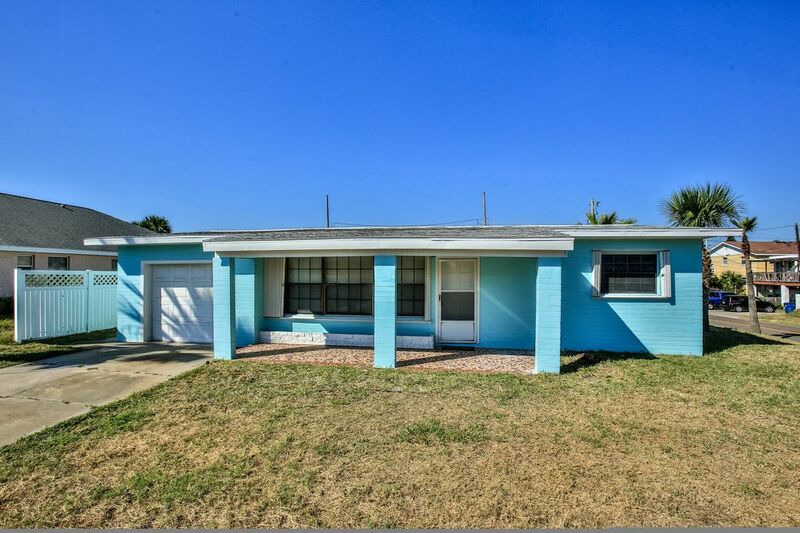 An easy drive to Daytona Beach and Orlando attractions in the very relaxed residential area of Wilbur by the Sea which doesn't allow high rises or chain restaurants.